As you may recall, Microsoft promised Indic Bloggers Awards some six months back. Better late than never. The contest is up now and any blog in an Indian language started before February 2006 can be nominated. Nominations are open until May 2006. 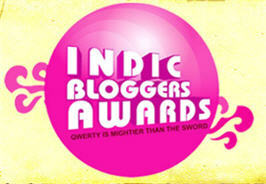 Winners receive the Indic Bloggers Awards Trophy. BhashaIndia users who nominate an Indian language blog that they follow, have to be an Indian resident or have a contact address in India.